As much as we love to teach, it’s a fair bet to say that none of us relishes the idea of grading. 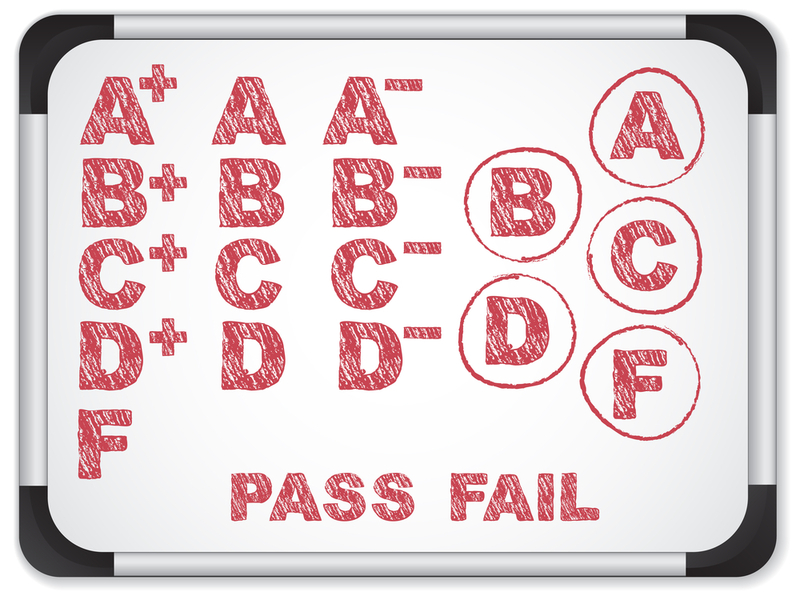 Some instructors may have found a system that best serves their grading objectives. For those who are still searching, we’ve put together an overview of six ways to approach student assignments that will help you get through grading efficiently while providing your students with meaningful feedback. Before choosing a method, think about your overall approach to grading by considering some basics. First, define your grading goals and decide if you want to use number or letter grades. Keep your system as simple as possible for yourself and your students. Discuss your method with students before you grade their first assignment. Build in editing time before due dates; experts in writing theory stress the importance of revision when teaching writing. Finally, strive for consistency. Below are six approaches to grading. We’ve included links to sample grading masters with each grading approach that you can adjust to fit your assignments and objectives. Assigned Weight. Assignments are graded against a series of elements, each with its own weight. For example, writing mechanics might carry a possible 30 points out of a total of 50. Check Marks. This system allows students to revise their work as many times as required to earn a check mark, which usually signifies a B. Students’ term grades depend on the number of check-mark assignments. Contract. At the beginning of a term, students sign contracts that outline criteria for receiving an A, B, and C grade in the course. Their signature confirms that they have read the evaluation criteria. Dual Criteria. Content and grammar/mechanics carry equivalent values in this method. The instructor defines which errors and how many points to deduct for specific elements of the assignment. Holistic Method. This method assigns one of three scores: excellent, acceptable, and unacceptable. Specific reasons for the assignation are included. Holistic means based on clearly established criteria, but assignments are considered as a whole, as the name suggests. Workplace Standards. Grades match levels of professional standards, with an A marking a document that a supervisor would send with no edits, and an F showing no understanding of the assignment. Which grading method do you use? Share your insights with us! This entry was posted in 2. Featured Articles and tagged assessment, college paper grading, grading on August 30, 2016 by bizcombuzz. Recently a two-year-old boy was wading in a lake at Disney World when an alligator surfaced, grabbed the child, and despite efforts by nearby adults, held him under water until he drowned. 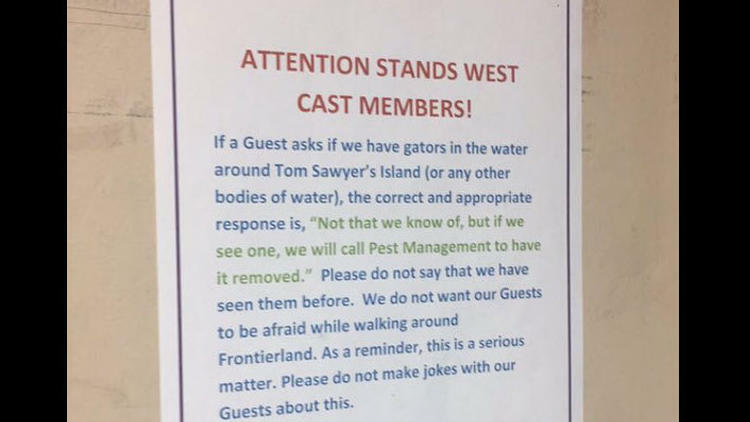 Disney officials at the Florida resort responded to the tragedy—and public relations nightmare—by closing down for a day and later posting the sign below telling employees how to respond to questions about the event. Intern Shannon Sullivan tweeted a photo of the sign because, as she told the Orlando Sentinel, she was uncomfortable about misleading the public and was willing to lose her job if that’s what would happen as a result of publicizing the sign. It did. As soon as park officials became aware of her Twitter post, they informed her that her participation in the Disney College Program was prematurely over and escorted her out of the park. That night a reporter at the Orlando Sentinel questioned officials about Sullivan’s dismissal. The next morning, Magic Kingdom vice president Dan Cockerell visited Sullivan at her home and offered her job back. Why should Disney officials have had the foresight to know that the sign would be made public? Why do you think Cockerell traveled to Sullivan’s house instead of phoning her? Do you think business leaders like Cockerell should admit mistakes? Why or why not? This entry was posted in 3. News You Can Use and tagged Disney World alligator incident on August 23, 2016 by bizcombuzz. Most of us learn about our students’ writing capabilities by evaluating a first-day writing exercise. We’ve put together downloadable exercises for you to choose from. Feel free to customize them to your own specifications or use them as is! Business Communication First-Day Writing contains a prompt asking the student to persuade you, as the instructor of record, for a seat in the course, which has only a few open spots. As part of their argument, students discuss their educational and career goals and evaluate their communication skills. Instructors present a model for an e-mail, memo, or letter as the document’s communication channel. First Day Writing Assessment has six prompts that require students to write short responses that describe how they think of themselves as writers, what they can do to assure success in your course. Other prompts asks students to discuss outside writing experience, strengths and weaknesses as a writer, and areas needing improvement. First-Day Writing Diagnostic is designed to help instructors assess students’ current writing skills, specifically organization, coherence, and design. The assignment provides background, objectives, a scenario, and assessment measures. This entry was posted in 4. Classroom Exercises on August 9, 2016 by bizcombuzz.